Since I’ve been playing a lot of tabletop games recently, Marc was kind enough to let me do a guest article on Tabletop Co-Op. 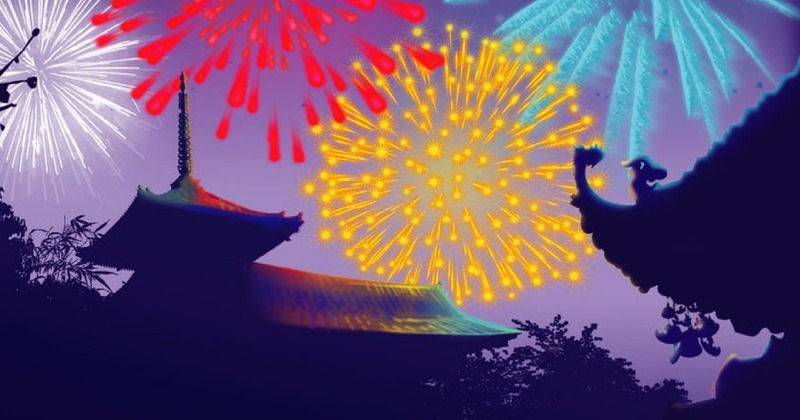 For this article, I’ll be giving my impressions of Hanabi, the cooperative card game. One of the most common complaints I’ve heard about co-op tabletop games is that some feel it’s too easy for one person to take control of the entire game. While I’ve been lucky enough to not really have this problem, I can certainly see how it could happen if a gaming group contains an over-enthusiastic or competitive-at-heart player. Happily, there exist some co-op tabletop games where this is virtually impossible. One such game is Hanabi. 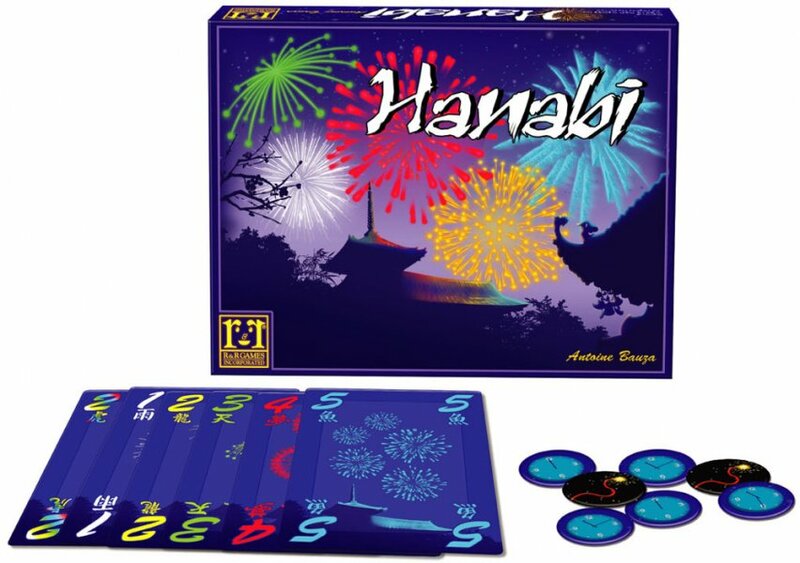 Hanabi (which means “firework(s)” in Japanese) can be played with 2-5 players with a recommended age of 8 . The theme of the game is that the players are trying to build fireworks together for a spectacular show at the end of the game. The small box contains 60 cards, 4 fuse tokens, and 8 clock tokens. The cards are divided into 6 suits or firework colors: blue, white, green, yellow, red, and rainbow. The rainbow cards are only used for an advanced variant. Each firework card has a number ranging from 1 to 5 with each suit possessing three 1’s, two 2’s, two 3’s, two 4’s, and one 5. A firework is built starting with a 1 card with a 2, 3, 4, and 5 of the same color placed on top of it in order. Doesn’t sound too hard, does it? Oh, but it can be. In the beginning of the game the cards are shuffled and each player is dealt five cards (in a 2-3 player game) or four cards (in a 4-5 player game). All players must NOT look at their cards, however, and face their cards away from them so they can only see the card backs, but everyone else in the game can see their cards’ faces. On a player’s turn, they can take one (and only one) of the following actions: 1) Share a piece of information, 2) Discard a card, or 3) Play a card. Page created in 0.8306 seconds.